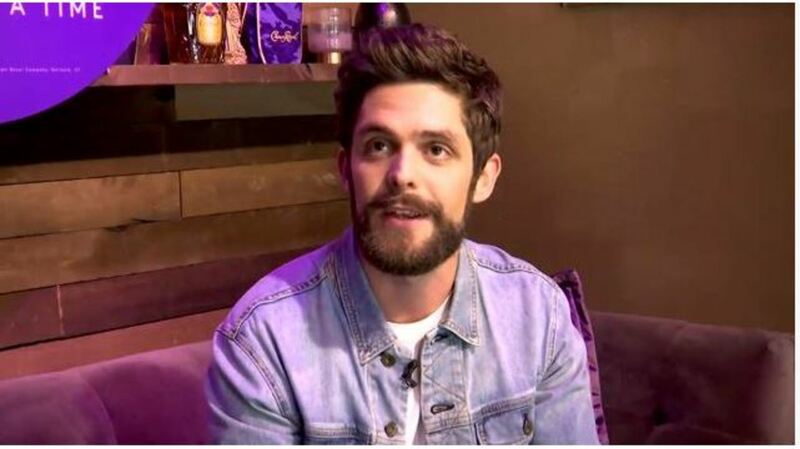 Thomas Rhett is joining forced with Crown Royal for the Purple Bag Project. The project benefits U.S. servicemen and women stationed overseas. Rhett said, “it’s really cool to be a part of that; it’s just a really cool partnering because I feel like our goals and values align as far as the charitable component. My wife and I take pride in that being a big way that we live our lives.” Since 2010, Crown Royal has worked with Packages From Home as a national charity partner supporting their purpose of sending thanks to troops overseas. During Purple Bag events, participants are invited to write notes and help stuff care packages (in a purple Crown Royal bag) for troops. Rhett’s Purple Bag event will take place on Nov. 13 at Bridgestone Arena Plaza, just ahead of the CMA Awards on Nov. 14.